RRResearch: Is there DNA in oreos? Is there DNA in oreos? I have to weigh in on this. I spend a lot of time discussing the idea that bacteria can use DNA as a source of nutrients, and audiences are always surprised when I show this graphic and point out that DNA is ubiquitous in our foods. And these are scientifically sophisticated molecular biologists and microbiologists. So it's not at all surprising to me that 80% of the general public would check 'Yes' when asked, in a set of survey questions about food labelling and regulation, whether foods containing DNA should be labelled as such. Instead of laughing at their ignorance we should think about how much expert knowledge is needed to evaluate this issue. Many people, if guided by a series of prompting questions, could figure out that there's probably some DNA in at least some natural foods. But would you expect someone who hadn't taken high-school biology, or took it a long time ago, to know the answers to any of these questions? Is there DNA in meat? Is there DNA in leaves? Is there DNA in potatoes? In rice? In noodles? Is there DNA in fruit? What if you don't eat the seeds? In fruit juice? Is there DNA in beer? In wine? In scotch? Is there DNA in flour? In butter? In olive oil? In oreos? Is DNA destroyed by being cooked? 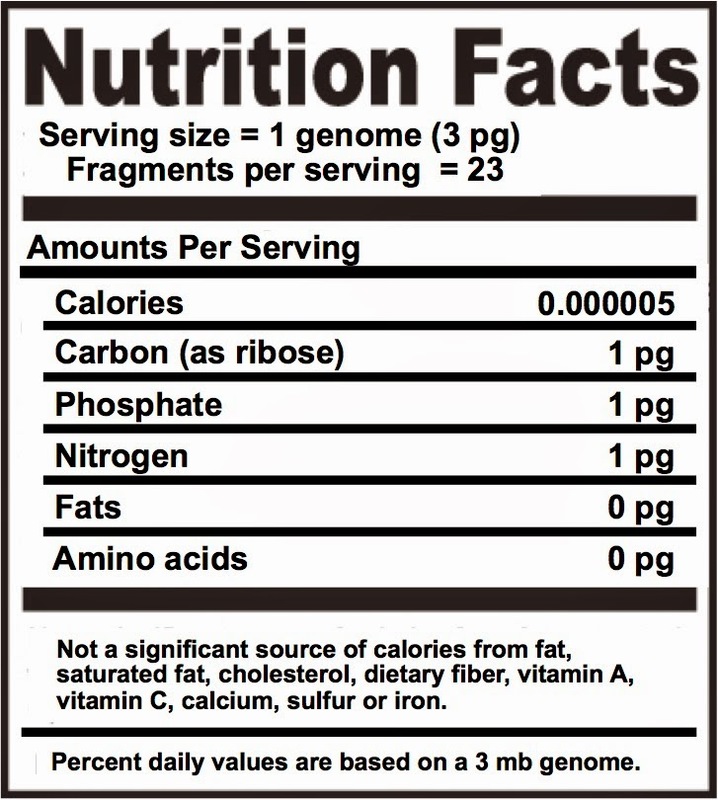 Does DNA break down (like some vitamins) when food is stored? Does DNA dissolve in water? In wine there is truth; in whiskey there is strength; in water there is bacteria. 3. Yes, yes, and yes. 4. Yes, still yes, and yes. 5. Yes, yrs, and yes. 6. Yes, yes, yes, and yes. 7. Define "destroyed" and "cooked." Excellent points - it takes a fair bit of biology to know this stuff. People in general may not know it, but it doesn't make them stupid.